That's the stage I'm now. I am looking at G block (one in left down corner) 4,5 value. I couldn't decide if it should be 4 or 5. How do I decide? And, am I looking at the right place? 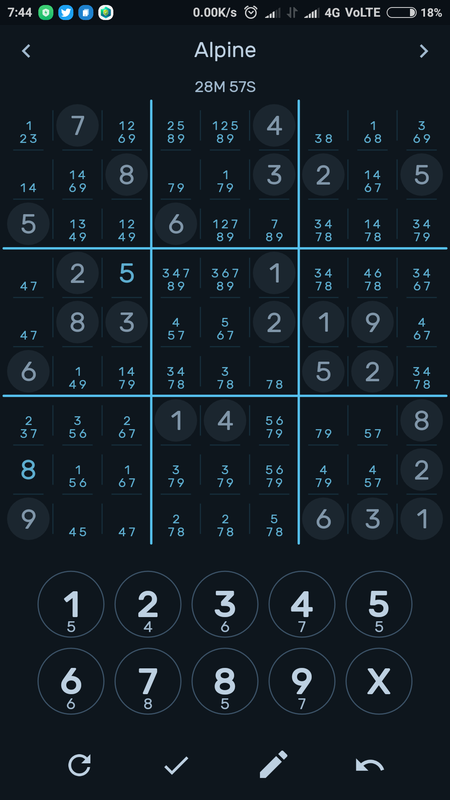 Any alternate moves or suggestions? After singles, another very common sudoku pattern is known as the pointing pair. 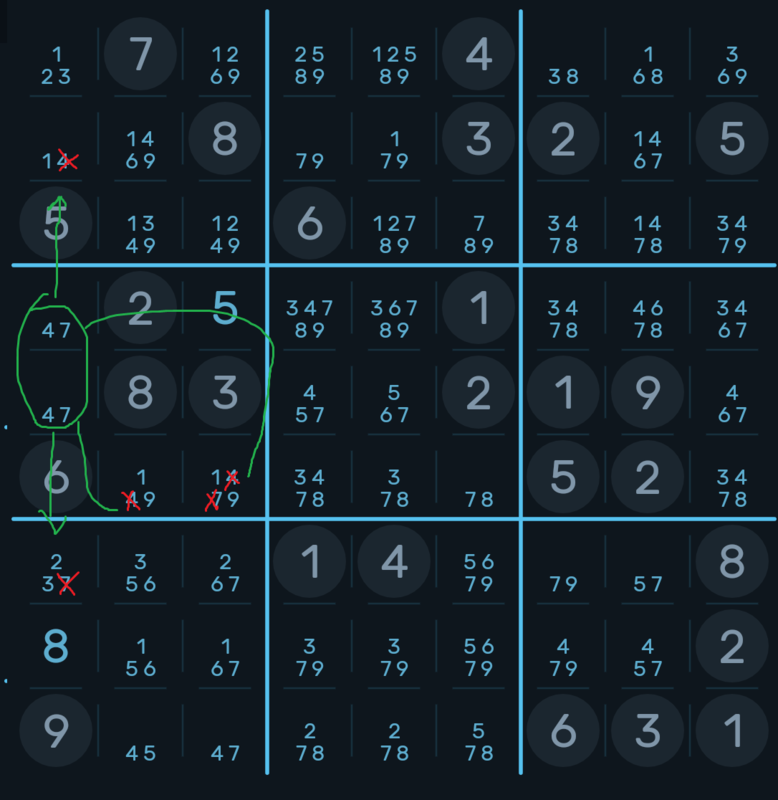 I've circled two squares that you've marked as only being 4 or 7. That means that they exclude other cells in the row and square from being 4 or 7. This lets you get a digit. You can try to apply this technique elsewhere as well.